and he has started a new record label that celebrates his love for the blues. Guy's Legends in May before the legendary club moved to its new location. 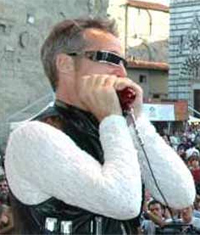 his passion for playing blues harmonica. Chicago, and the party will feature performances by all the artists. I had the chance to talk to Harper about why he wanted to start the label. to make a traditional album with some good players. We had a wonderful time in the studio. It was really beautiful. Q - How did you get to know Peaches? recording her. She is really a great singer, and a great entertainer. have so much bigger volume. Q - I understand that Sugar Blue taught you some harmonica techniques. tongue block technique. He was an excellent teacher. Q - What do you think of the new Legends? I like it. The music sounds better than in the old club. 30 years after it first formed. 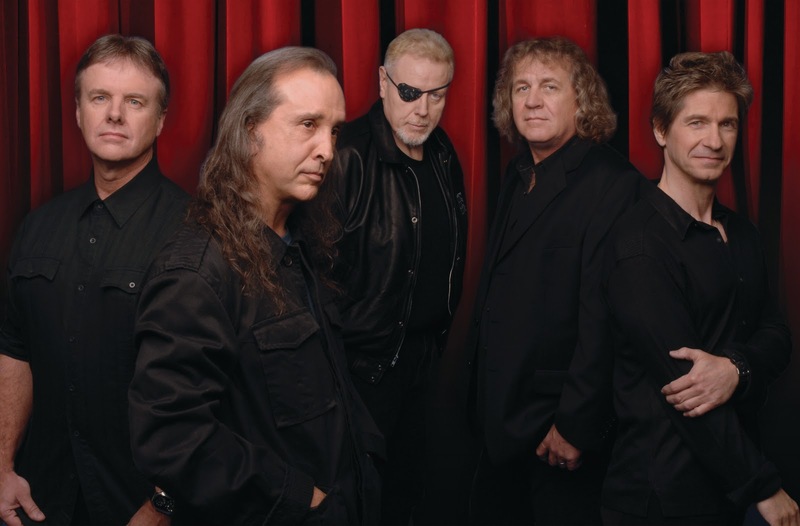 Kansas will perform at 8:30 p.m. Oct. 8 at the Arcada Theatre, 105 E. Main St., St. Charles. Tickets starts at $29, and are available at www.thearcada.com. I had the chance to talk to original guitarist Rich Williams to get his thoughts about the band's longevity and the ever changing music industry. Q - What was it like performing last year in Topeka, Kansas, with the Washburn University Symphony Orchestra for your 35th anniversary show? What did it add to the music? First, of all, it's familiar. We've done a lot of symphony shows. Twelve to 15 years ago, we did an album with the London Symphony Orchestra, and we've been doing symphony dates pretty much ever since then. We love doing it. It's a lot of fun. It's not a stretch to imagine us with a symphony. Our music is already very orchestrated and symphonic in many ways. It's not a shoehorn situation, where you try to make something fit. It works very naturally. We just finished a tour working with different college symphonies around the country. We enjoyed working the students, to see their excitement in all this. It's also a fundraiser for the music programs in the individual schools. It gives them an opportunity to do something they otherwise never would do. It's all very rewarding. Q - Kerry Livgren and Steve Morse came back and performed with the band for last year's show. Later in the year, Kerry, had a stroke, I understand. He's still trying to get feeling back in his hands, according to his website. It happened just a few months after we had filmed the DVD, actually. Q- How did having Kerry and Steve there add to the experience of the show? We just wanted to make the 35th anniversary show special for the fans. We knew we wanted to do it, but we really didn't know where. Once we decided to take it back to where we got our start back home, it started to make a lot more sense. In going back home, suddenly it all made sense. Kerry lives there, so that was a natural. But with Steve Morse, we hadn't really seen him since he was in the band. We called him, and he said, yeah, he'd love to do it. And that was great. He's such a good guy, and a tremendous player. He hadn't changed a bit. It was spooky how he looked exactly the same. It was just like where we had left off, like no time had passed. And we had a lot of fun. Steve and Kerry were in the band at different times, so they had never played together. Having the two of them on stage at the same time was something also cool for the band. Q - Talking about the roots of the band, what was the idea for forming Kansas in the first place? Growing up in Topeka, Kansas, we all played in various different bands together. The first band I was in was with Phil Ehart, our drummer. I've been playing with Phil since 1966. As we got a little bit older and other musicians left, we were some of the last guys really working to pursue this. I think what brought us together was that we wanted to do something original. That being said, we didn't want to do the flavor of the moment. We didn't want to sing about cars and girls, and we didn't want to play in the standard format. We really wanted it to be outside the box. And everybody brought their own experience and influences to the table. That combination turned out to be Kansas. Q - There have been several lineup changes over the years. Is there a lineup you prefer? Well, I know some fans will say that we're not Kansas without the original lineup. Well, the two new guys, Billy Greer on bass, he's been with us for 26 years now, and David Ragsdale on violin, he was with us all through the '90s, and he's been back with us for five years. So nobody's really new. I like this lineup. And to the naysayers who complain a lot, the guys who want to be here are. The ones who want to do something else aren't here. Complain to them. Q - It seems that with every lineup change, it brings something different to the music. Change in a band or change in life is painful in a lot of ways. You never know what is coming next. It's also a necessity in the life of a band and in life in general. This band would not be here if we hadn't rolled through the changes. Q - Dave Hope, Kerry Livgren and Robby Steinhardt came back for the studio album, "Somewhere to Elsewhere." Any chance of that happening for another album? It's mentioned on occasion. I'm not opposed to it in any way. It's getting that done that's really been the thing. With Kerry's stroke, that's changed things quite a bit. I know he has some great material. It's been discussed to do one last great Kansas album. But then, you never know which way the wind blows with Kerry. Rather than sitting on the sidelines and wondering what's next, we just move forward. Q - Any other projects on the horizon? This winter, we are doing one album with Cleopatra Records. It's going to be a covers album, doing different songs that might have meant something to us. Q - Any songs that you would particularly want to cover on that album? We're in that discussion stage now. Coming from different backgrounds, everybody has different ideas - we can't do that because it's sacred territory, we can't do this because one of us doesn't like a lyric. And so it's a typical Kansas argument coming into play. It's somewhat painful, but it's a process we go through when we are making any record. It has to be something that we all can live with. Q - Do you mind being labeled a "classic rock band?" Did you ever imagine when you started the band that you one day might be referred to as a classic rock band? No, no. It's appropriate. I once heard a reviewer call us a classical rock band. I kind of like that one. You can definitely hear some classical influences in our music. Q - These days, bands can make their own music and not have to worry about getting signed to a label. Has the music industry changed for the better? Yeah, I think in a lot of ways, it has. What happened with us is a different world from what happens today. When we signed with Don Kirshner Records, they had what was called artist development. Now, there is no artist development. There's isn't any time for that. I don't have a good taste in my mouth for record companies in general. It's not any secret that they've screwed musicians to death ever since they pressed the first vinyl. When I see a few of these record companies going down in flames, it doesn't really break my heart. The billions of dollars that they've kept from the musicians that actually earned it, there's a special place in hell for them, as far as I'm concerned. Q - How has the band tried to keep up with the changes? In the way that music can be heard or purchased, you just have to roll with those punches and make it available in all formats, with the Internet and all that kind of stuff. And as far as keeping up with musical trends and stuff, that's not something we do. We rode in on a horse, and we're going to ride out on one. We do what we do, and that's what we are known for. Why would we try to be somebody else? We were a terrible cover band because we never tried to emulate the songs that we learned. Even when we were doing covers, we were doing them our way, which will make this project interesting. While we are doing other people's material, what we will have to do is try to own this stuff, and do it as if we wrote it. As long as we are true to ourselves, if nothing else, we will be happy. If the public doesn't like it, that's fine. I'll rather do that then bend to every drib. That is not what we do. Q - What do you think keeps the band going? This was a hobby that turned into a job and a career. This is what I do. Musicians play. I play guitar, and that's just in my nature. That's what we do. We perform. If we stopped doing this, I'd probably be playing in a local bar somewhere. 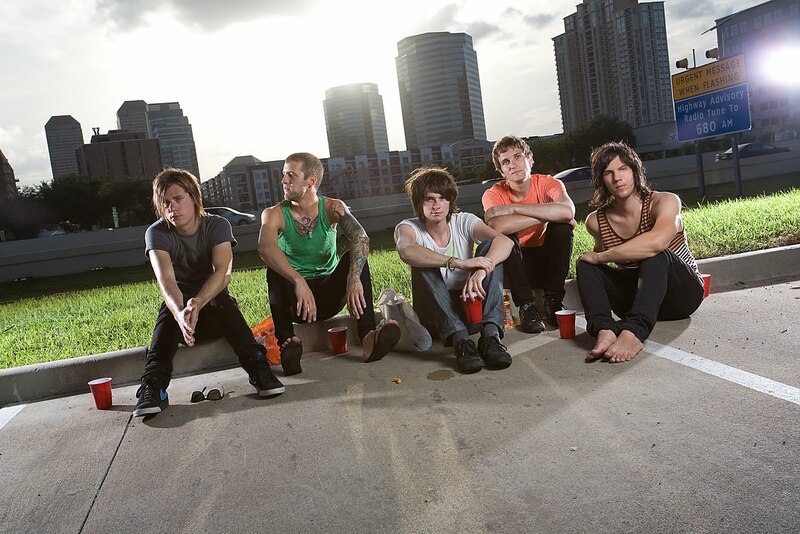 Q - Are you surprised that there continues to be a strong fan base for the band? Well, we're grateful. We had a few really good songs that have stood the test of time, and kept our foot in the door. I would have never imagined that 36 years later, we'd be busier than we've ever been. A didgeridoo is not an instrument normally associated with the blues. But Harper is happy to say that he is not your normal blues musician. Born in England, Harper moved to Australia at age 10 and fell in love with Perth's vibrant blues and folk scene. Harper these days is living Grass Lake, Mich., close enough that he has been able to bring his music to Chicago. As an indication that his unique blend of rock, blues, soul and world music continues to gain an audience, his latest CD, "Stand Together," reached number 10 on the Billboard charts and the U.S. roots music charts. Harper will perform Wednesday, Sept. 29, at Martyrs', 3855 North Lincoln Ave., Chicago, as part of the World Music Festival in Chicago, www.explorechicago.org. The show starts at 8 p.m. and tickets are $12, available at www.martyrslive.com. I had the chance to talk to Harper about what drew him to the didgeridoo in the first place and how much lung power it takes to play the instrument. Q - How does it feel being part of the World Music Festival? Any kind of World Music Festival is always interesting because not only do I get to play there, but I also get to see some other good stuff from other countries. I did the WOMAD festival once, and we saw a Peruvian band and bands from Czechoslovakia. It was just awesome, that experience. Q - I understand you moved to Australia when you were 10, and kind of fell in love with the blues and folk scene in Perth. There was a big influx of British people to that part of Australia, and I guess there was a big love of blues music from the '60s with bands like Cream and Led Zeppelin. Just by the fact that all those people moved there and became a major population, that style of music went with it. You naturally fell into that scene. It was a big scene, and then you had great bands like Midnight Oil that brought along the more political side of things, like talking about the plight of the aborigines. Q - Was there something about hearing the blues that really resonated with you? I think it was the honesty of it. That is folk music to me, it is telling a story. That's what I like. I didn't want to hear another one of those "boy meets girl" songs. It just didn't interest me. I think I naturally leaned toward performing that stuff myself. Q - When did you think of incorporating the didgeridoo in your music? That only came about six years ago. A friend of mine was a didgeridoo player, and I never touched it in my life. I never even thought about playing it, even though I had made many aboriginal friends just through my music. I had sort of fallen in love with the way the didgeridoo was incorporated into the songs. And instead of getting someone else to play it, I'd thought I'd give it a go. It was a hard thing to do. It took a lot of concentration and work. I got a lot of help from some great aboriginal friends in Sydney. They went out of their way to help me choose the right instrument and teach me about circular breathing and the history of the instrument itself. I got a lot of love from the people that started using it, and I can't even imagine the first person who picked up a hollow piece of wood and made a noise out of it. Who thinks these things up? Q - Do you play it when you are writing songs? How do you incorporate it in the music? I love grooves. One of my favorite groove masters in the world was Bill Withers. I always thought he had the greatest grooves, and people still play his music all the time. He had some of the greatest bass grooves. The thing that works great with the didgeridoo is that it's one note, with a few chords in it. So it's very haunting. And when I combine that with a bass groove going along, it just adds another element to the music. I don't put the didgeridoo in all the songs. I think that could get kind of dull. 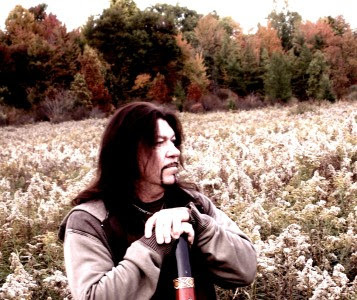 It was tough for us, because being signed to a blues label, we were getting a lot of flak from people who were wondering, what's this thing he's putting in his music? Q - So you've had to win people over? I think a lot of people have just never heard anything like that before, and it took them by surprise. But everyone knew that I wasn't the standard blues guy, doing the 12-bar style. They knew that I was a little out of the box. People who come and see me know that I am not going to be standing up there doing a standard blues tune, although every now and again I will throw one in just to honor the great players that I've always admired. They sort of know that I am just grabbing what I've learned, and creating my own music. The advancement of that style of music is to modernize it and make it more accessible to more people. That keeps it alive. I think the reason I wanted to go with Blind Pig Records (he has made three CDs with the label) was simply because they had a great reputation and they were actually looking for something a little outside the standard kind of blues thing they were doing. The music crosses all boundaries, I think, except for country and western, of course. I can't go down that road at all. Q - How much lung power does it take to play the didgeridoo? Actually, not much at all. You're actually breathing in through your nose and breathing out through your mouth, so the air doesn't go into your lungs, only a small amount obviously to stay alive. It takes a long time to learn, because your body doesn't want to do that. It wants to stay alive, so it's going, "I don't know why you want to breathe like this. If you keep doing this, you'll be dead." It's actually getting over your brain wanting to breathe normally and changing the way it breathes. It's a really unusual and very meditative kind of thing to do. Scorchers was blazing a trail with its hard-fisted blend of country and punk. understand that European audiences can sometimes be more grateful to see you. Q - Does it feel like old times, then? revitalized Jason quite a bit and revitalized the band. start coming together at that time? Q - He thought the band had a lot of life left in it. Jason - That's pretty much what he thought. Obviously, he was right. Q - Does it seem like a new band now? the band. How do you know this? They both are fantastic musicians. Q - What was it like to receive the Lifetime Achievement Award? received it. It was quite an honor for us, there's no doubt about that. deserved the award before she did, I don't know. give us something. It was a big honor to us. like Son Volt and Wilco? presented the idea that country music could be cool. it was just kind of the way it came out. Q - What was the idea for the band in the first place? Q - You guys were labeled a "cowpunk" band. called us. I just thought we were a good rock 'n' roll band, honestly. to always try to expand that envelope. Q - What were your ideas when you sat down to record "Halcyon Times?" defined idea going in as to what we were going to do. 10 years as a solo artist, and I was sort of over it. important to us to try to step forward and not look back. were trying to go for a harder rock sound. Was that a mistake? think are our best records. and they tell other people. sort of thing happening with the band. So yeah, it's always been word of mouth. Q - "Halcyon Times" was recorded live, right? think it was very effective on this record. Q - Did you want to capture the band's energy on this record? that was really important for this record. fun to make a little record for them. It just organically grew from that. and showing what we are capable of, aging gracefully. David Hedison was still a budding movie actor when he decided to take the role of research scientist Andre Delambre in the 1958 movie "The Fly." But it was a role that continues to draw interest. On Friday, Hedison made an appearance at the Hollywood Palms movie theatre in Naperville for a screening of the movie, and on Saturday and Sunday he will be at the Hollywood Celebrities and Memorabilia Show, www.hollywoodcelebritiesshow.com, at the HiltonRosemont, 5550 N. River Road, Rosemont. I had the chance to talk to the 83-year-old Hedison at the Hollywood Palms about his work on "The Fly" and what drew him to the role in the first place. Q - Why do you think "The Fly" continues to hold so much interest? First of all, it was a good story. There was a story there. I thought the "Fly" I did in 1958 had a believable premise and that's why I liked it. Q - That's why you wanted to be part of the film? First of all, the part was originally assigned to another actor at the studio at 20th Century Fox. He didn't like the fact that he had to wear the mask. He turned the part down, so they gave it to me and I read the script. I was mesmerized. I thought it was going to be a very good film and make a lot of money. And sure enough, it did. Q - What did you think of the 1986 version with Jeff Goldblum? I thought he was terrific. He's a wonderful actor. It's the kind of science fiction performance that deserves an Academy award. I thought it was that good. He was terrific. But I didn't like his story. They went off in a different direction. David Cronenberg did a brilliant job directing it. It was different. Maybe it was because I so familiar with the original one, it was hard for me to accept the new version. Q - They made an opera based on the 1986 movie. I saw the opera. I thought the opera was quite good. I just missed that there was no big aria for the man who played the fly. That was not there, and it should have been. It was a painful experience he was going through. There should have been the most magnificent aria, but it was never there. Q - You've played so many characters over the years. Was being in "The Fly" was one of your more memorable movie experiences? Yes. The year before, I did a lovely film called "The Enemy Below" with Robert Mitchum. It was just a great film. And shortly after that came "The Fly." That was really one of the highlights for me at 20th Century Fox. Then a few years later came the "Voyage to the Bottom of the Sea" TV series and that did very well. That was a favorite of mine because I loved working with RichardBasehart, who played the admiral. Q - It seems that your name is associated with several fantasy or science fiction projects. Do you think people feel you are a good fit for those projects? Maybe they do, because I think that for most of the people who see me, the parts are very sober. What audiences don't know is that I am best at comedy. And nobody has really seen it, which is unfortunate. Q - Are you glad you didn't go into the jewelry business like your father? Of course. I thought I had found greener fields. I went to Hollywood to see what I could do. I got my basic training in New York. I worked there for quite a few years, and worked with wonderful actors and directors. Q - You were really mesmerized by people like John Wayne and Humphrey Bogart. What do you they brought to the table? They had a charisma. They had a masculinity. Every woman who would see their films wanted to get into bed with them, you know. Male sexuality. You never know who has it, and it's always something on the screen. It's there. Nothing right now. I was supposed to do something with Bill Shatner and Patrick Stewart. It was called "Free Enterprise 2." I was supposed to be in it. I was supposed to go into wardrobe. I was all set. I knew my lines. The next thing I knew, the producer ran away with the money. And nobody that first week was paid. So the whole project just sunk to the ground, went to the bottom of the sea. Q - What do you like best about going to conventions? I like seeing some of the actors that I haven't seen for a long time. I look forward to seeing them again, and talking about old times. Q - Do you see different generations of fans when you go to conventions and make appearances? Yes, particularly with "Voyage to the Bottom of the Sea." Parents show their children, and the children go gaga the way the parents were originally. So that's held up very well. Q - What do you think of television and movies today? There's some wonderful television today on PBS. And all the stuff that so many wonderful directors bring to the screen. It's great stuff. And then on the other side, there's a lot of crap. In these reality shows, there's people who have no talent at all and are on the screen wanting their five minutes of fame. It's painful for me to look at the screen to see these people who are quite idiotic and awful to watch. Then I think, well they'll have maybe a year or two and then they are down the drain. To me, as an actor, you really must work as an actor. You have to do repertory, you have to work with all kinds of groups. You have to have training, like MerylStreep. She was doing it all through Yale drama school. She was working with the best, and she did lots of theater before she went into the movies. And that's the way to do it. The kids today, they want instant fame. There's no so such thing. They'll last six minutes. You can't do it. You have to get your training like a doctor, or piano player. You have to do your exercises on the piano. You can't do a Beethoven piano concerto overnight. You've got to do your practice, practice, practice. Then one day you can do it. more known for its inventive videos than its music. as important as their music. 6:30 p.m., and advance tickets are $18, $20.50 the day of the show, available at www.livenation.com. Show. What was the concept behind the video? it was we liked so much about the videos for our last record, the dance videos. to make videos that do a similar thing. than its music? Is that a worry? video is video and art is art. people who make leads and chords and lyrics, and not other things. think that especially these days a band has to be marketing savvy? think over the past eight years, that creativity is the recording of a song. of how art and creativity actually work. to. For me at least, all of that is online. make lives in this digital stage. It's where bands most effectively operate. that why OK Go decided to start its own label? Q - What do you guys miss about Chicago? I love performing, but touring is a strange and lonely bubble, cruising around the world doing the same thing every day. What was great about Chicago is that the music scene was so incredibly vibrant. It is a real creative environment. Q - With this new record label, do you have future goals for it? Would you like to sign other artists to it? That's not in the plans now. The great thing about the label is that you don't have to have plans. The label is sort of a business arm of what we do. It exists solely to allow us to chase whatever ideas we feel like chasing. Right now, trying to spread that out to other bands and make it into a profitable enterprise for lots of people is not particularly attractive, but it might be. If I saw the right bands play somewhere, I'd be really excited. What I'm excited about is that it doesn't really have to be a record label. It could be an anything label. We make videos obviously, we make records. There's a lot of creative projects we have, and we don't feel the need to operate in what people traditionally think is the music industry. 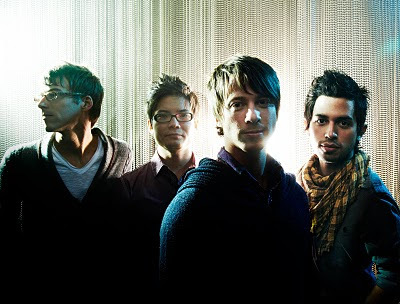 Christian band Tenth Avenue North is a band that's definitely been on the move. Named the best-selling new Christian artist of 2008, Tenth Avenue North is currently touring in support of its latest album, "The Light Meets The Dark." Tenth Avenue North will perform Sept. 30 at the The Chapel, 180 N. Hawthorne Road, Barrington. Also on the bill is Addison Road and the Rebecca Trent Band. The show starts at 7 p.m., and general admission tickets are $20, available at www.itickets.com. I had the chance to talk to Tenth Avenue North drummer Jason Jamison, who these days is juggling band duties with the recent birth of his second child, who was born in August. Q - Congratulations on the birth of your child. How are things going? It's a little bit of an adjustment, juggling kids. But so far, so good. We've been off the road, so I can spend some time with them before the tour starts up. Q - How has it been balancing family life with band life? That's the most difficult thing about what we do. I would say that everybody in the band would agree. And I don't think anyone has it figured out. But I do know it takes an amazing wife to be able to watch you go out and do music while they are at home with the kids. And I think family has to be the priority. Q - Your first major label album, "Over and Underneath," turned out to be such a success. What were your goals for this album? The second record is always the scary record, especially if the first record did pretty well. There was a little bit of pressure there as far as that goes, like we have to deliver something that is going to be comparable to the first. But it really wasn't our focus. I think musically, we've grown. I think we have been able to play off each other better and create music together that is a better representation of kind of all of our styles. So I feel like the second record was definitely a step up musically for us. All of us were really excited musically what happened. And I think thematically, we wanted it to kind of be a continuation of the first record. The first record talked very specifically about our relationship with Jesus and the Gospel. The album's title "Over and Underneath," refers to God's love being over and under us, and in all things and through all things. For the second record, there's two themes - identity and confession. The things that you've done, whether it is a good thing or a bad thing, don't really define who you are. Instead, Christ defines who you are. He's the one that has made us a new creation. If that's true, then it frees us up to confess our sins. The first single off the new record, "Healing Begins," basically says that if we believe we are a new creation, then all of a sudden our identity is not in jeopardy any more. Confessing our sins brings us healing, and light into dark places. That's kind of where we are going with it. Q - Was it a surprise how successful the first album was? Yeah, it was kind of crazy that people actually liked it. You are so closely tied to the music that you don't know if what you are creating is awesome or not. Q - You majored in biblical studies. What would you being doing if you weren't in a band? Well, I worked in a church with students for five or six years. And I really enjoyed it. It was a different pace than what I am doing now. Right now, I would probably go back to work at a church in some type of capacity. I don't think I'm necessarily the senior pastor or even associate pastor type. But I could probably help out at a church. Q - Are there bands out there that you admire what they are doing? I think Switchfoot is a band favorite right now. Their new record is just incredible. There's a lot of bands that we enjoy listening to - Coldplay, Need To Breathe. We go through seasons. We are always listening to something different. Q - All bands approach their music differently. 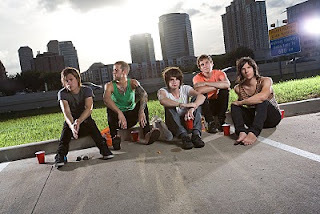 Some bands view their music also as a ministry. Is that how Tenth Avenue North feels? Yeah, absolutely. It's kind of where we start. If you keep that in mind, that helps with a lot of decision making. The music is more of a way we can communicate the Gospel. Our end goal at the end of the night is not to melt people's faces with amazing guitar licks or drum solos, but instead to be able to say that we had a chance to encounter Christ, and maybe that night somebody was able to confess a sin or meet with the Lord for the first time. Q - Do you find the Christian music label confining at all, that people might not want to listen to your music because it has that label? I think the thing to remember is that truth is truth, no matter who says it. I could be listening to some mainstream pop band. I could be listening to Katy Perry, and she sings a lyric that might ring true. God can use anything to communicate truth. It's something that we've talked about quite a bit as a band. There's no such thing really as Christian music. Music doesn't have a soul. I happen to be a Christian who is playing music. Chicago native Patti Vasquez took a chance after leaving graduate school at Northwestern University to work as an emcee at Zanies Comedy Club in 1995. Although she never received her Ph.D in history, Vasquez has never regretted her decision. Vasquez has starred in two hit one-woman shows, and will present her "Comedy with a Heart" from Thursday through Saturday, Sept. 16-18, at the Zanies Comedy Night Club in Vernon Hills. Tickets are $24, available through www.ticketweb.com. I had the chance to talk to Vasquez about her decision to get into comedy. Q - Do you ever regret leaving graduate school? The only time I ever gave it a second thought is when I ran into this comedian from New York who has a master's degree and she is a headlining performer, and she was able to do both. She told me that regret is a wasted emotion, and I live by that motto. Q - You started as an emcee at Zanies. What did that experience teach you? It taught me that nobody thinks the emcee is going to be funny. People either had low expectations of the first comic, or people had just gotten in the club, they waiting for their first drink, they are just kind of getting the lay of the land. There is just a different dynamic in going first. Q - Does it kind of take the pressure off? You always want to be liked and you always want them to laugh. But you kind of know that when you are first man on the beach, you are going to take the hit. Q - Do you remember when you told your first joke on stage? Yeah, I have an audiotape of it actually. I remember my first set and the first thing I said was, "Wow, these lights are really bright." Which is funny when I watch these comedians and hear how many people say that, because it is surprising. You can't see the audience at all, that's how bright the lights are. I was still in grad school when I started doing open mike nights, and I was working as a salesgirl at The Limited. So I did material about that. Q - And it went over well? Yes, it did. It was beginner's luck. I remember what I was wearing too. I was wearing Doc Martens Oxfords, black tights, and a black dress. I can't remember why it was all black. But it was all from The Limited. Q - Did you always think you were funny, or did other people think you were funny? Definitely not my teachers. I was a disruption in class. I always got those report cards that said, "Lacks self-control. Talks too much in class. It's a wonder that she learns anything because she talks too much in class." I was also called a class flirt, which is really an unnecessary label by your teacher when you are 11. Q -Your material revolves around family and relationships. What makes that good comic fodder? Everybody has grown up in a family and you develop relationships as you go along. I've been talking a lot in my shows lately about the difference between idiots and jerks in public. The difference is that the idiot in front of you is often extremely sorry, but the jerk in front of you doesn't care. Screw you, I'll do what I want. Almost all of my material is about my reaction to others - my reaction to my family, my reaction to relationships, my reaction to people in public. Q - With show like "Last Comedy Standing," it seems like stand-up comedy is making a comeback. Do you think that's true? Shows like "Chelsea Lately" give comics a good platform. Obviously, Comedy Central has done a lot. Yeah, I think there's a lot of avenues for comics for go. When the economy is bad, people are looking for a shared experience, like a live performance. It is sort of an outlet for laughter. I think that people look for that thing. That's why vaudeville was so strong during the depression. That's why movies were so popular during the depression. There is something about being around others that is sort of reaffirming for people. Q - Who has inspired you? Margaret Cho. She reminded me of myself. Margaret is the daughter of immigrants, and she is culturally between two worlds. That was a big inspiration for me. That was it for me. When I saw her, it was like, "Holy crap, I have to do comedy." Q - There does seem to be a lot more women in comedy these days. Why do you think that is? I think it is such an appealing forum for people in general, to tell your story, to have a voice. We have a sitcom pilot that's being shipped around L.A. It's about my family, which is cool to say that. It's been five years in the works. It's about living in Chicago in a two-flat with my parents, and that my husband is unemployed, which is based on fact. It's very exciting. It's called "The New Normal." It has the tag line, "For every family that's multi-generational, multi-racial, underemployed, and with special needs, it's the new normal. Everybody is trying to get used to it." Q - What if the show becomes reality and is big of a hit as "Seinfeld?" Here's where I am now, as compared to when I started in the '90s. Then, I wanted to have the "Seinfeld" show. That was the goal. My goal now to make sure my sons are taken care of. If it were to be as popular as "Seinfeld," that would be what that meant, that I could take care of my family. These days, Jeff Daniels is as comfortable on a music stage as he is on a movie set. The star of such films as "The Purple Rose of Cairo" and "The Squid And The Whale," Daniels will perform Tuesday, Sept. 14, at The S.P.A.C.E., 1245 Chicago Ave., Evanston. The show starts at 8 p.m., and tickets are $25, available at www.ticketweb.com. Daniels is touring in support of his latest CD, "Live At The Purple Rose." All proceeds from CD sales benefit The Purple Rose Theater, a nonprofit arts organization he founded in his hometown of Chelsea, Mich. I had the chance to talk to Daniels about making music and movies. It's been going real well. It's kind of just started. We did 10 shows at the end of August. The shows have been well attended. Q - Was it hard picking the songs for the CD, what songs you wanted on the CD? It was more like, let's do five shows and take the best performances and get a CD out by the end of the year. It had been a while since I recorded a live solo one. I'm writing all the time. Songs pile up, and I decided to put out another one. The first one ("Live & Unplugged"), was just kind of ''Let's see if we can sell it in southeastern Michigan and raise a little more money.'' Then Christine Lavin heard a couple of songs off of it, and she put me on XM Radio, and the next thing I know, I was getting an agent. Q - Why did you want to start Purple Rose Theater in the first place? There were many reasons behind it. We had moved home after 10 years in New York City. I had been here two to three years and creatively, I was going to sleep. You can't compete with the creativity on a good movie set or in the theater in New York. It's just a whole other environment, those two places, and I missed that. After being brought up in Circle Repertory Company, which at the time was one of the leading Off Broadway theater companies doing new work, I said, ''Why can't I do that here?'' So I bought a building, and started painting and putting seats in. But the kind of condition was that I wanted to do new plays. I wanted to write about this part of the country. I didn't want to just do "Hello, Dolly." And the gamble was that there would be enough talented people - actors, writers, directors, designers, both young and old - who I could get my hands on and kind of develop, and then get out of their way. And 20 years later, I'm happy to say that while it is my theater, it's more theirs. Q - And it has lived up to your vision? It's gone beyond it. The vision was really this pipe dream. So many things have happened that came out of the theater. Aside from wonderful stories about some 70-year-old actor whose career didn't happen for him in New York and now he's back in Michigan and now he's getting these great roles written for him by playwrights who are going, ''Don't worry, I'll fix the scene.'' They come back and they are writing specifically for the guy's strengths. That's a cool story. The 21-year-old kid who I used to be, he or she now has a place to learn, before they go to New York, or Chicago, or L.A. I didn't have that. I just got in a car and moved to New York blindly. We don't take everybody. We put you through the program and we teach you - here's the acting style that we want, which is very honest and truthful, kind of like film. The theater is 168 seats. The first row is two feet away from the actors. So you can't lie. As an actor, you have to tell the truth. Landford Wilson. Here's a guy who won a Pulitzer Prize for playwriting. I was hoping maybe 20 years ago he might come out and just see it. Well, he not only came out, but he wrote two plays for our theater company. Q - The first time you stepped out on a music stage, how did that compare to your first time on a movie set? It was a similar terror. The movie set, it's a foreign land, you don't know what you are doing. Now, 55 movies later, it's like a second home. It's like your first game as a major league ballplayer. Everything is brighter, everything is faster, everybody is bigger. And walking out with a guitar, there was a nakedness to it that I didn't expect or wasn't prepared for. Q - Does the music stage feel like a second home now? Yeah, it's real comfortable, because you've figured out how to do it. There's an art to it. And that's the chase every time I go out there. How do you win over this particular audience? Many are just curious. Some have heard the music. Most have seen the movies, and just want to see you live. I try to give them the feeling that I drove all this way to sit on their living room couch for an evening and play for them. I tell them stories. Here's a story about getting shot and killed by Clint Eastwood. You give them a little of the behind-the-scenes Hollywood stuff. Make sure they are laughing harder than they have in a long time. And then drop in some of the non-Hollywood serious stuff. So it's kind of a coming together of all these guys I've gotten to be. They are all out there with me. So it's not just me walking out with a guitar. Q - I understand that Loudon Wainwright is kind of an inspiration for you. A lot of guys are. Loudon is. Steve Goodman is a huge inspiration. The guy could walk out and hold an audience all by himself. Arlo Guthrie, John Prine, John Hiatt, Todd Snider. Guys like that. Guys that could fill the room with their stories, with their presence, with their songwriting. Those guys, I go to school on them. Q - Would you want to bring your music into your film projects? If asked. But I don't push that too much. I never have. There's something I'm working on now. We haven't closed the deal on it that would use the music in a whole new way. But it's a good idea. Q - Do you want people to take you seriously as a musician? I think eventually they will if they let themselves. I don't really care. My job is to make sure they had a good time. If they look beyond that, they'll see it is somebody who has been playing for 30 years. It's there to be noticed. Q - Would you describe your music as folk music? Whatever that means. I describe it more as acoustic finger-picking, which is kind of all I do now. Story telling. I've spent my life telling stories, as an actor, as a writer, now as a songwriter. Q - Is there a role out there you are itching to do, playing a certain type of character? I've never been like that, dying to play King Lear or something. I'm more kind of what's available, who wants me and what for. That's kind of how I approached it. Big B is a musician who stands out in the crowded rap scene. The 6' 7'', 330-pound rapper blends rock, hip-hop, country and reggae to create a sound that is refreshingly new. On Tuesday, he will release his fifth studio album, "Good Times & Bad Advice," which features guest appearances by Everlast, Pepper, Unwritten Law's Scott Russo, Cisco Adler and other musicians. I had the chance to talk to Big B about the new album and being a cast member on the A&E television series, "Inked." Q - Have you been able to spend much time in Chicago? We play there ever so often. I enjoy it. It's a good place to come and visit. I never have been able to check out the whole city. Every time we get a day off or something, it seems like I'm just trying to catch up on rest. Q - Of course it's a big week for you with the new album coming out Tuesday. What kind of goals did you have for the album? Just to get it finished was my biggest goal, and knowing that I made a good record. In my mind, it's the best one that I ever made. Q - You have a lot of guest stars on this album. Did you handpick these people or did people offer to be on the album? There are all just friends. They respect what I'm doing, and see that I'm trying to blaze my own trail and not trying to just chase trends. It's just a cool thing to have all those guys come out and do music with me. Q - It's kind of an eclectic group. Do you think they all bring their own style to the album? Yeah, that's why I have those guys on there, because they all have a different sound. Q - You are on Kottonmouth Kings' record label, Suburban Noize. How did you start working with them? I own this company named Controversy Sells. I make action sports videos. We ended up doing a DVD with them, "Endless Highway." We just became friends over the years. We were friends for many years before I ended up going on the label. It was cool just to be friends with them and work with them and finally build this relationship where we could put records out. Q - So you really like how they approach music and what they are doing? Yeah. For me, I just do my own thing, and I think that's what they respect more than anything. Q - It seems like the Kottonmouth Kings has a real do-it-yourself approach, even in marketing themselves. Do you think that's cool, to kind of take control of everything? In this day and age, you have no choice. You're setting yourself up for failure if you think that you are just going to wait for a major label to put tons of money behind you. It's not going to happen. You have to be out there promoting and doing it. Q - I guess you also have to keep up with new technology and social media, like Facebook or Twitter. Which is great for us. For us, it's just another outlet to get out to the masses. Q - How do you feel you are blazing your own trail? I try to make real music. I don't put it in one box. One day I'll rap over an acoustic track, the next day I'll rap over a punk track or whatever else. I just like storytelling. I'm not reinventing the wheel by any means, but I just don't want to do the normal thing. Johnny Cash to me was just the greatest dude ever. I take bits and pieces of everyone. Like I said, I'm not reinventing the wheel, but what I am doing is my own thing that's not on the radio right now and not what's popular. Q - You were a regular cast member on the show "Inked." Reality shows like that seem to be as popular as ever. Why do you think people are flocking to them? It's all scripted reality. I did it for two years. Carey Hart, one of my best friends, we started Hart & Huntington Tattoo Company. People just like what is going on and they like the drama of it and tattoos are becoming more popular. Tattoos are another way to express yourself and be different. Q - And I suppose people feel connected to the shows. Yeah, exactly. It's real people, and to the average person, they think it's all real. They don't think it's scripted reality. Q - Physically, you are a big guy. Does that help in what you are doing? It may help, but I definitely look like a freak show out there every now and then. It's just not the norm. And the other thing is that I'm 330 pounds. I don't consider myself a fat guy, but I think when people see someone my size that active and jumping around, it's a spectacle. I stand out in the crowd, so that probably helps out. But another way I don't think it helps out is that I have to shove myself into these bunks on these buses and I bump my head on the lights and everything else. I'm just a big guy, and the problem is I think I'm the same size as everybody else. So I'm the guy out there skateboarding and doing whatever else. I have to pay the price. Q - You've already worked with so many different artists. Do you have any dream collaborations? I don't have any dream collaborations, but I would love to work with Rick Rubin as a producer. I love a guy named Citizen Cope. He's one of my favorite guys ever. There's another rapper out there right now, Yelawolf, that I'm really digging. One of my life goals was to do a song with Everlast, who was such a big influence. We became friends, and I got to do that. I'm kind of content now. But Citizen Cope would be a good one. And he's an influence in what I do. It only took 36 minutes for Smoking Popes' reunion show at the Metro in November 2005 to sell out. That's just another indication the band's strong following was not ready for the group to just fade away. 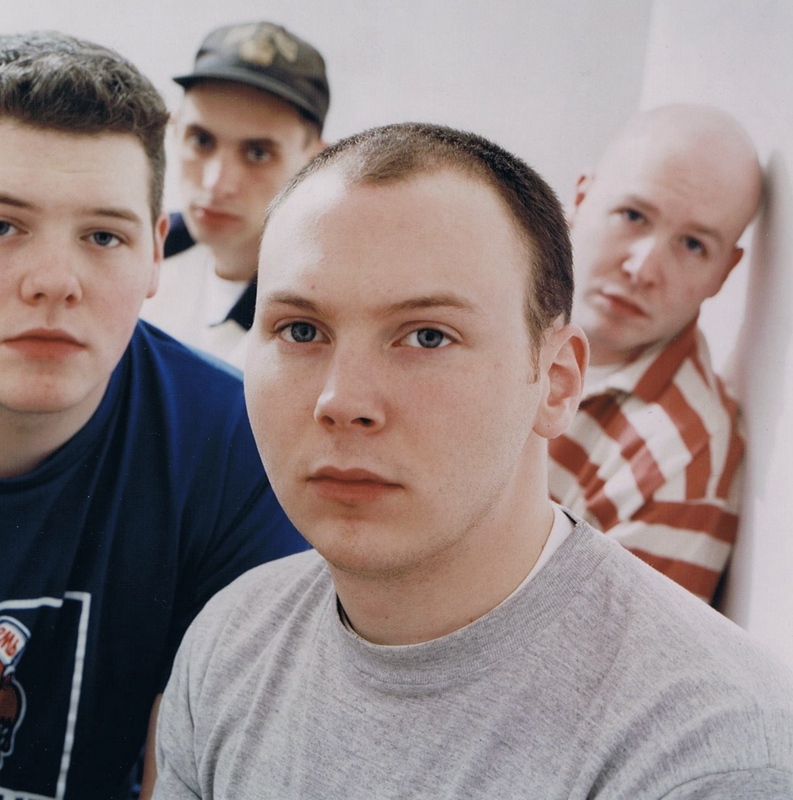 The Smoking Popes are busy these days working on a new album and will perform Sept. 10 and Sept. 11 as part of the Middlewest Music and Arts Festival, which will take place at several venues in DeKalb. Maps & Atlases, Ha Ha Tonka, William Elliott Whitmore, The Frantic, Lucky Boys Confusion and Hawthorne Heights are among the other bands on the bill. More information is available at www.middlewestfest.com. The Smoking Popes will also perform at the Riot Fest in Chicago, which will take place Oct. 6 to 10 at several venues in Chicago. Other bands on the bill include Bad Religion, The Lawrence Arms, The Mighty Mighty Bosstones, Bouncing Souls and The Lawrence Arms. More information is available at www.riotfest.org. I had the chance to talk to Smoking Popes lead singer Josh Caterer of Elgin about how he is juggling being in a band with his responsibilities as worship leader at Harvest Bible Chapel and raising a family. Totally. It's kind of sad to think that some of our songs would just disappear. They're like kids, really, you know. You want the best for them. You want them to have a productive life. If they just disappear, it makes you very sad and sort of uneasy. Q - You guys are working on a new album. How is that going? It's almost completely tracked. There are 10 songs on the album, and we have the basic instrumentation for all 10 of those songs. The album is 99 percent finished. But I was thinking one day about the fact that when we were a young band, I would never intentionally write songs from a teenage point of view. I was always trying to pretend like I was more sophisticated. I was always listening to Frank Sinatra records and trying to capture his vibe. It occurred to me that it would be funny if now that I am well into my 30s if I started writing songs from a teenage point of view. I had the first five songs for the album after coming up with the concept. The ideas were there, and I just had to take the time to write them out. Right now, we are just playing a few times a month around the Midwest, always within a couple of hours of Chicago. So it's really not that much of a conflict. I can be at my office all week and lead worship on Sunday, and still go out and play shows with the Popes on Friday and Saturday nights. If I had to choose between the two, I suppose I would choose worship leading. Yeah, it was inactive for a few years. After the Popes got together, it sort of seemed Duvall evaporated. And a couple of months ago, we played a Duvall set at the Metro opening for our friends The Fold. After that, we've gotten offers to play a couple of different shows, and we're supposed to do a set on JBTV next month. Once I got the ball rolling, it has just picked up momentum on its own. Yeah, I've been writing some new stuff for Duvall. Back when we were making Duvall records before, that was my only band. I was sort of on the fence whether Duvall would be a Christian band, or whether it should function in the general market. I think that my songwriting for that band was a little ambiguous because of that. So that was beneficial. In the long run, I think we've always been an indie band. We're just more comfortable functioning on an independent label, because we have a pretty specific vision about how we want to approach making our music. We really don't like having to deal with the corporate structure in order to make that happen. We didn't know what to expect. We knew that there was a dedicated core following of fans out there. When Duvall was touring, I would always run into people across the country that were really excited and really devoted. I figured there would be at least 100 really excited people at the show, but there was more like 1,100 really excited people at the show. Although "American Idol" winner Lee DeWyze has been grabbing all the headlines lately, there is another Chicago area act that continues to make waves - The Academy Is. The Hoffman Estates band is on a tour with KISS, and will open for the legendary band Friday at the First Midwest Bank Amphitheatre in Tinley Park. The show starts at 6:30 p.m., and tickets range from $35.50 to $149.50, available at www.livenation.com. I had the chance to talk to bassist Adam Siska, who grew up in Fox River Grove but now calls Oak Park home, about the tour.